Carmichael Psychology (New York) - Book Appointment Online! Please note that we submit insurance claims on your behalf. We make the process very simple for you. Just ask us how! Therapy and coaching sessions are structured to help you get the results you want. Each session will be shaped by your particular needs. Group and individual sessions are available. Sessions in-office and online via video. We are skilled at both structured, cognitive-behavioral therapy and open-ended psychodynamic therapy. Many people benefit from a blend of both methods so that they can develop insight while experiencing clear markers of progress. 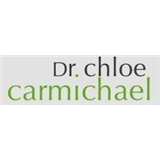 Dr. Chloe will happy to explain how therapy or coaching can help for your particular needs during a free 15-minute phone consultation. Sessions are interactive and focused, and we really care about helping people to move forward. She's was very understanding and compassionate. It was only my first appointment but I am looking forward to working with her in the future.